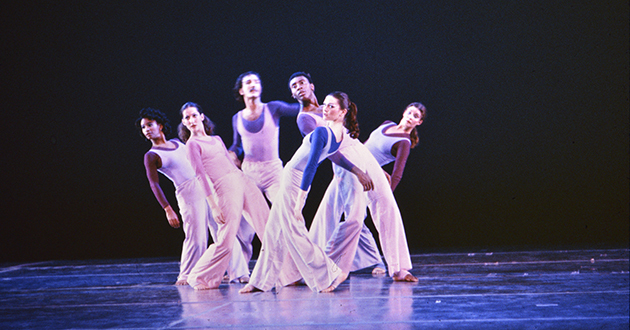 Colloquy by Stanley Berke, University Dance Company (1979), photo credit Harry Blaine. The power and impact of the arts at Ohio State is undeniable. At the college, we are providing upgrades to our facilities, and as a university, we are heavily investing in our physical environment, especially in the arts. Significant progress has been made on the Arts District, as Ohio State now enters the design phase for the most ambitious arts renovation in its nearly 150-year history. Moreover, several groups within the arts are celebrating key milestones this year, making 2018 more exciting than ever. The Department of Dance arrives at the half-century mark as one of the premier dance programs in the United States. Decades of “throwing its weight around” (as the department says in its 50th anniversary notice) has generated a legacy of partnership, innovation and creativity in the world of dance practice and theory. Thanks to ongoing relationships with Dance/USA, BalletMet Columbus, Movement Research Inc. of New York City, OhioDance and growing exchange programs with universities and centers in Europe, Asia, Central and South America, and Africa, the department has established a deep commitment to providing students and faculty with an immersive and comprehensive education. Combining rigorous theoretical work with vigorous physical practice, the educational experience is unmatched. Also new this year is a partnership with the Department of Theatre and School of Music to establish a minor in musical theatre, all housed in the home base of Sullivant Hall, situating them at the center of a campus-area arts district offering access to resources such as the Advanced Computing Center for the Arts and Design (ACCAD); the Wexner Center for the Arts; and the Department of Arts Administration, Education and Policy, among many others. This year’s celebration arrives at the Barnett Theatre in Sullivant Hall for two weekends in November and features new works choreographed by dance faculty Crystal Michelle Perkins, Susan Van Pelt Petry, Daniel Roberts and Eddie Taketa, as well as a selection of Motion Lab (MOLA) performances by the Renegade Performance Group artistic director and choreographer Andre M. Zachary. It will be just a sampling of the innovation and creativity that has (and will continue to) burst from the department. The Ohio State Department of Design is celebrating 50 years of innovation and creation this year. The department’s roots were first found in the Department of Art, which offered study in interior design, industrial design and commercial art. As the years went on and the programs grew and flourished both here in Columbus and through a series of international faculty exchanges that deepened and enriched the already robust program, design emerged as an independent area of study in 1968, the year that the College of the Arts officially formed. And now, this fall, the department will celebrate with a wide range of events, all devised to illustrate the rich, impactful history of this influential and deeply respected program. Distinguished alumni will return to campus for reunions and camaraderie during Homecoming weekend and a celebration of Columbus’ thriving design scene via a series of design firm tours and rolling receptions. A major exhibition will also take place at Urban Arts Space that shares the fascinating story of its evolution as a department; showcases the accomplishments of a select group of distinguished alumni; and demonstrates the department’s role in the creation of successful spaces, products, services, systems and experiences. A trio of anniversaries comes from the Department of Arts Administration, Education and Policy. The department celebrates 50 years as a community of scholars, faculty, staff, students and funders committed to engaging with the culture via top-tier research, policy, leadership and teaching. 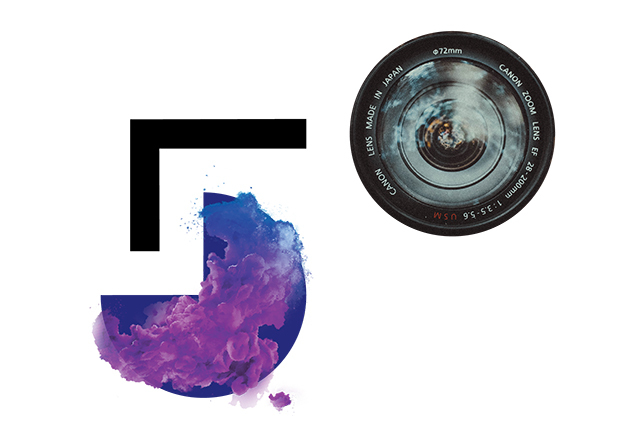 In 2018, the department’s ongoing Barnett Symposium celebrates 25 years and the Barnett Center for Integrated Arts and Enterprise is celebrating five years of preparing students for careers in arts and entrepreneurial fields. When it comes to the impact and importance of the role of the arts in society, the Department of Arts Administration, Education and Policy has been at the forefront. The Barnett Symposium, established in 1993 by Lawrence R. Barnett and Isabel Bigley Barnett to support the Arts Policy and Administration Program, is just one vehicle to support this research and engagement. Through in-depth investigation and discussion of the nonprofit sector’s policies and practices, the symposium digs deep into the intersections of business, creativity, the arts and experience. This year’s celebratory symposium will feature international thought leaders and local innovators in dynamic, powerful conversations and will be headlined by keynote speakers JiaJia Fei, digital director at The Jewish Museum in New York City, and Joseph Conyers, assistant principal bassist at the Philadelphia Orchestra. It is a certain-to-be-compelling conversation that reflects on the past to catalyze and energize the future of the arts. Celebrating its 10th birthday, Urban Arts Space continues to serve as a community resource and as an integral part of Columbus’ vibrant arts and culture scene. With a front-row seat for the revitalization of downtown Columbus, Urban Arts Space has hosted hundreds of exhibitions, performances, talks, artmaking classes and tours, bringing the creative work of Ohio State students, faculty and staff to the greater Columbus community. In those 10 years, thousands of guests have entered the space’s home in the historic Lazarus Building and have been impacted by the space’s diverse and accessible slate of programming, including “Pattern Thinking,” an exhibition curated by Arts and Sciences alumna Anne Keener, to the ongoing collaborative partnerships with such Columbus stalwarts as the Columbus Commons and the Columbus College of Art and Design. In addition to the impactful and memorable events in the galleries, Urban Arts Space has served as a professional launching pad for its student employees, with many past employees taking their gallery experience at the space and finding careers at the Wexner Center for the Arts and the Columbus Museum of Art, among many others. Since 2009, when the College of Arts and Sciences united the legacy colleges to once again become a cohesive home to more than 38 departments and 21 centers, the college and university have invested more than $40 million to renovate its arts facilities. Most notably, Hopkins Hall and Sullivant Hall, renovated in 2011 and 2013, respectively, illustrate significant investments in facilities for the Departments of Art, Dance, Design, and Arts Administration, Education and Policy. Alumni, friends and supporters will help us bring music and theatre together as part of a cohesive, innovative arts and performance district designed for the students and audiences of today and the future.